Hot glue guns were a staple in many childhood homes, especially for those of us whose parents weren't all that handy with a thread and needle. Need to hem a pair of pants? Hot glue gun! Want to get those Girl Scout patches on your sash? Hot glue gun! Need to throw together a last-minute school project? Hot glue gun! Honestly, the hot glue gun has been an invaluable tool for many of us over the years, and now it's about to get even better! We've all been there – you probably have at least one great pair of shoes in your closet that you have yet to wear, because – unbeknownst to you when you bought them – they are just way too slippery on certain surfaces. 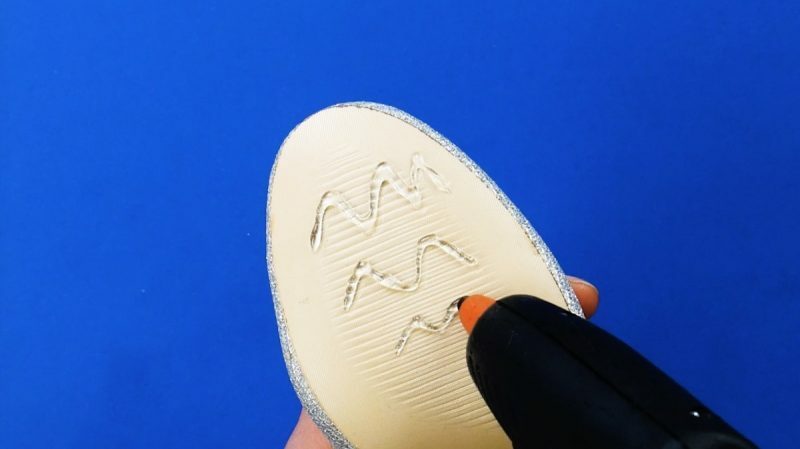 For a quick and easy fix, use a hot glue gun to draw three squiggly lines on the sole of the shoe and wait for the glue to dry. Now you'll finally have some traction! 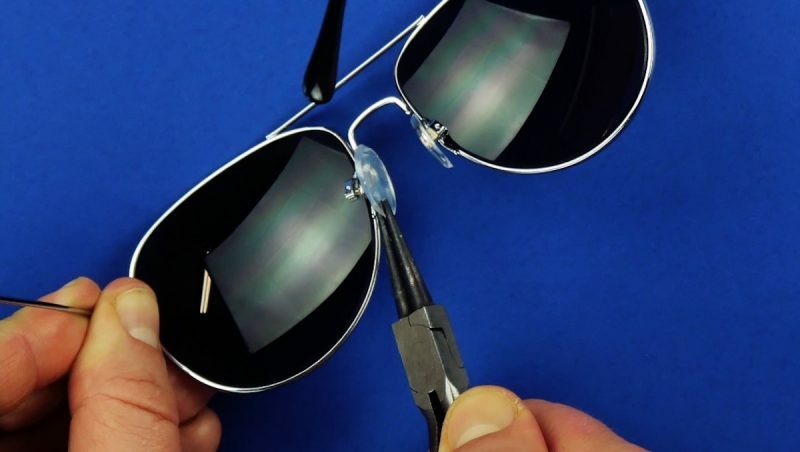 It's so annoying, not to mention painful, when the nose pad falls off your favorite pair of sunglasses. But thanks to to the handy, dandy glue gun, you can easily make your own replacement. Use a sharp knife to cut a small slice off the solid glue stick. Put a small dab of hot glue on the original nose pad spot and then stick the solid glue slice to it. Dirty makeup brushes are an absolute nightmare for your skin, but you can easily clean them with this nifty trick. 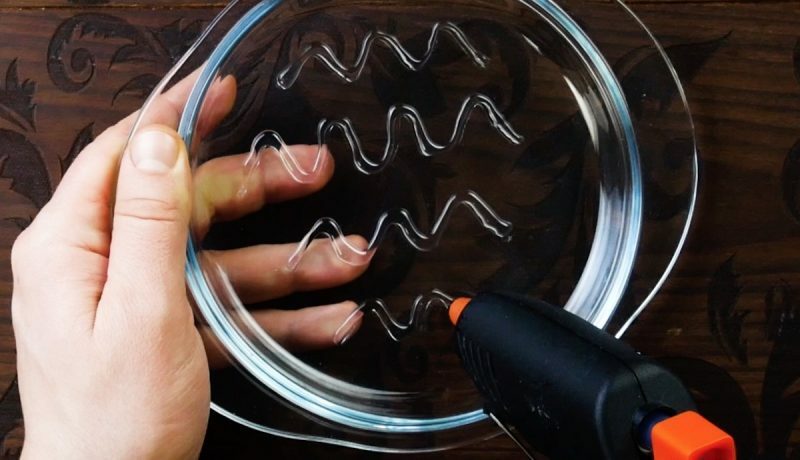 Use a hot glue gun to draw 3-4 squiggly lines on the glass plate and wait for the glue to dry. You can clean your brushes under running water by rubbing them back and forth over the wavy lines. 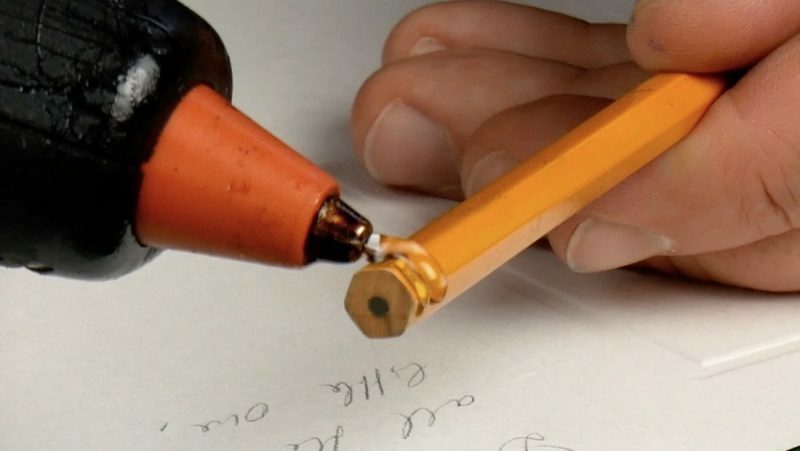 If you've worn your eraser down to a nub, just remove the eraser head and put a bit of hot glue around the end of the pencil. After the glue has dried, it will work just as well as – if not better than – an actual eraser. Do certain sounds just drive you nuts? We may not be able to solve all of your problems, but at least we can fix this one. Add two blobs of hot glue to the upper and lower part of where the cabinet door closes. Once the glue has dried, these miracle spots will act as door stoppers. Charging cables are almost as valuable as money in modern day society – you just can't lived without charged devices! 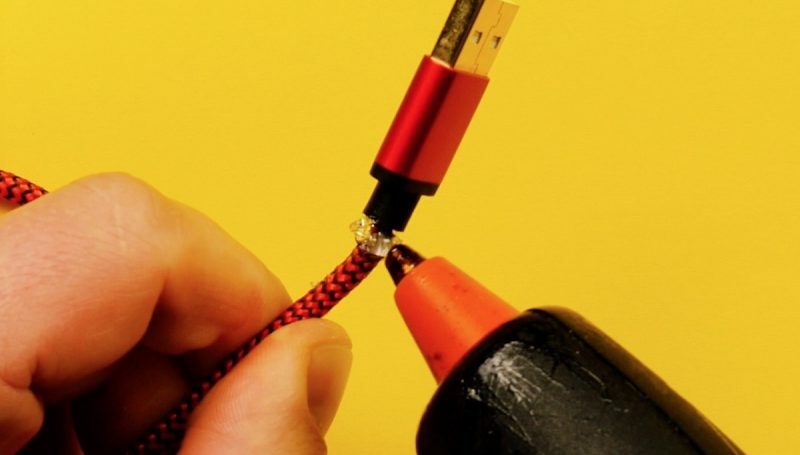 To make sure you never have to mourn the loss of yet another cable, add a bit of hot glue around the area where the cable meets the charging section. 7.1 If you're sick of visitors always flipping the wrong light switch or asking you where the bathroom is, this is the perfect solution. 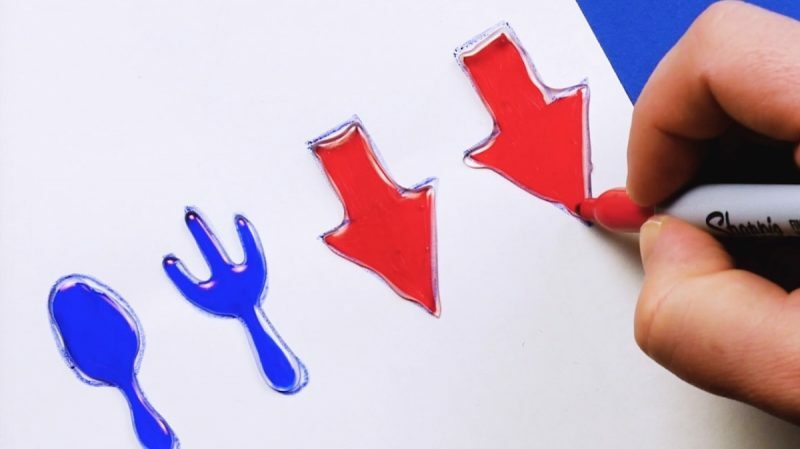 Use a hot glue gun to draw the symbols or letters of your choice on wax paper. 7.2 Once the glue dries, color in the symbols or letters with colorful markers. Then simply pull the symbols of the wax paper and stick them on the wall. 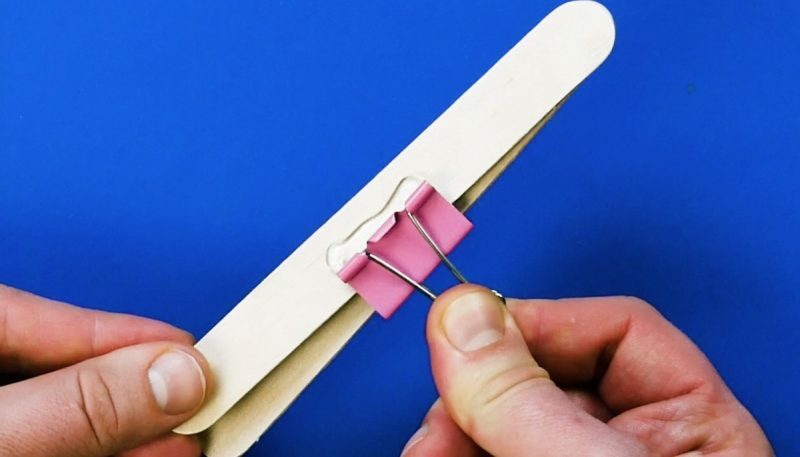 Glue a popsicle stick to either side of a binder clip, as shown in the video. There won't be any more stale chips on your watch! 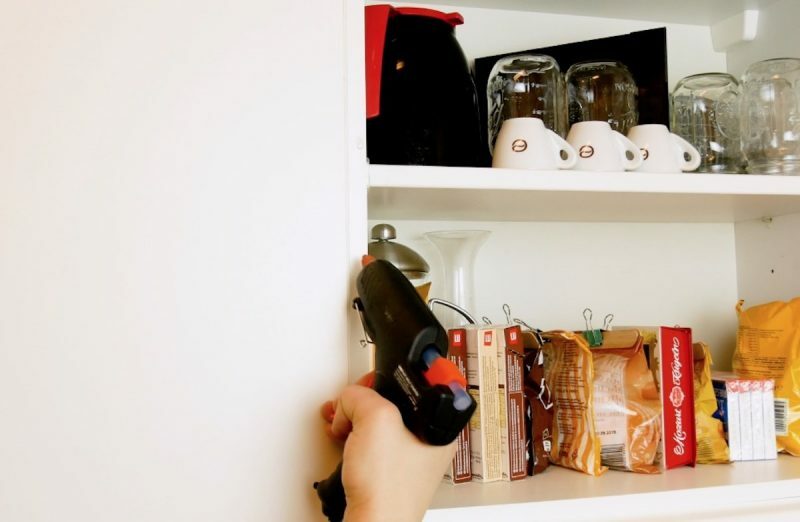 This trick is great for measuring. Clamp a small pencil into a binder clip and fold the metal clips down. 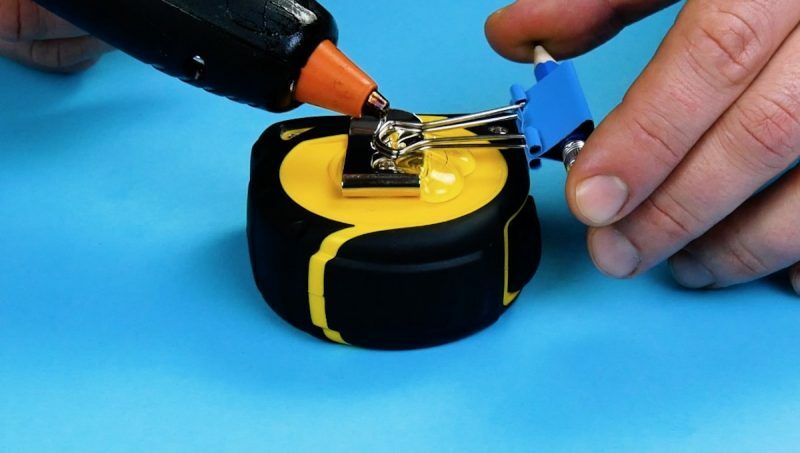 Put a little hot glue on the side of the measuring tape case and stick the clips to it. Now you can easily and quickly make notations when measuring. Now you can be the one leaving footprints in the sand. Just use hot glue and mirror writing to get your message out there, and once the glue has dried, feel free to eave your mark. If only your parents had known all these useful tips and tricks back in the day... now you can give your kids the childhood you never had!